HOW IT WILL LOOK: An artist’s impression of the proposed road through Pioneer Park. 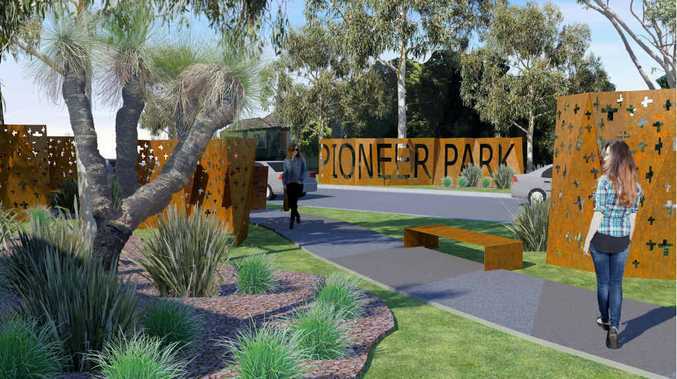 COFFS Harbour City Council plans to build a permanent road through Pioneer Park and incorporate a cycleway, park areas and tributes to district pioneers. The 'win-win' proposal is expected to involve removal of six trees, including four koala food trees. 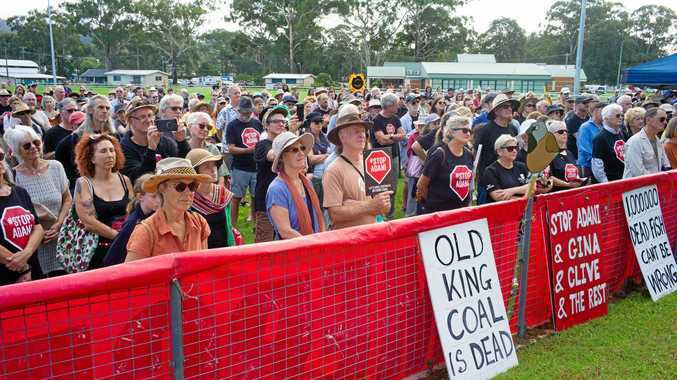 Pleas to retain the current green space of Pioneer Park, made by long-term Coffs Harbour professional, dentist Roger Sharpe, at Thursday's council meeting, failed to convince a majority of councillors to abandon plans for a roadway through the area. Cr Townley's notice of motion to ask Gowings to reconsider leaving the temporary road through Pioneer Park out of their current development application and associated traffic management plan was defeated. Gowings has said it does not require the road for its development. The council voted 5-4 in favour of an amendment by Cr John Arkan to invite Gowings and the City Centre Masterplan Committee to bring forward their 'win-win' proposal, as it presented a better investment for the community. The matter saw more than an hour of impassioned debate, with Cr Nan Cowling arguing that the bypass road was unnecessary; Cr Keith Rhoades saying he would oppose any plan to change the legal status of the area, and the mayor in favour of compromise. The area's legal status is an undeveloped road reserve and the council's director of sustainability, Mick Raby, said an application to close it for other purposes was unlikely to succeed. In the short term, the road is designed to take traffic away from the work site during the demolition of the Harbour Dr/Gordon St roundabout; lowering of the roadway; installation of traffic lights; raising of the footpath outside the eastern end of Coffs Central and construction of the new section of the Coffs Central shopping centre. This work is expected to begin in February and could last up to two months. In the long term, the bypass is designed to divert increasing traffic around the central CBD. Other objections to the road raised on Thursday ranged from possible damage from earthworks to the Solitary Island Lighthouse light in the old museum to the future plethora of road intersections within a short distance and lack of information on ground levels and overland flows during flooding.